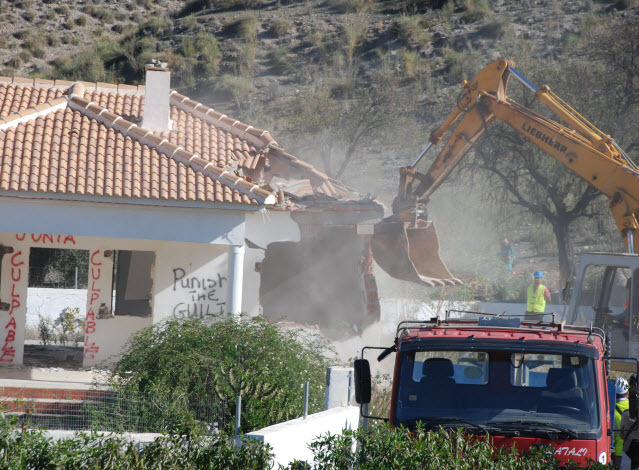 At one o'clock today, 18th November 2014, representatives of the regional government demolished the home of Frank and Janet Dole, in Las Terreras, a tiny hamlet in Cantoria in the Valley of Almanzora. Frank and Janet had purchased the property, one of four on a small development, in early 2005 from their promoter, Francisco Pedrosa Moreno, only to discover in late 2006 that the property was in fact illegal and that the promoter had been charged with a planning crime. Services to the property were later disconnected forcing them to return to the UK to live. In 2012, after a protracted legal case, the promoter was convicted of a planning crime and ordered to demolish what he had built. The court set a figure of 790,000 euros as the amount of compensation due to the home owners involved in the case. However, the criminal code in Spain does not require the court to guarantee that such compensation is paid prior to demolition. The promoter has failed to pay and now the houses have been demolished leaving Frank and Janet with no house, no compensation and not much hope. The bulldozer may have started its work today on the house of Mr and Mrs Dole but it will soon move on to the house of Peter and Margaret Hegarty, their former next door neighbours, who also purchased their dream home in the sun on this ill fated development. Speaking about today's events in Las Terreras, AUANs president, Maura Hillen said "Buying a property in Spain is a state run lottery. There are many and varied regulations but no control. And, as a purchaser you are the one who gets punished if something goes wrong. This isn't an isolated case. Many of our members homes are embroiled in similar proceedings. We need the Spanish government to change the criminal code to protect purchasers in good faith and to guarantee compensation prior to demolition. As it stands today these unfortunate people have been left with no home, no compensation and nobody in authority in Spain seems to give a damn. This is fundamentally unjust." Gerardo Vazquez, AUAN's lawyer, who also witnessed the demolition said "This is a sad day for everybody in the Almanzora Valley, for the owners of these houses whose dreams of a Spanish paradise have been demolished. With every brick that fell today jobs were lost in the Almanzora Valley and future investors were lost as well. Its a pity that sense cannot prevail and we hope that the people responsible for these events will realise that they need to do something about it and rapidly." Gerardo Vazquez que ha representado a dos de las familias afectadas, víctimas en el procedimiento, pero cuyas casas corrían el riesgo de demolición pese a ser adquirentes de buena fe, dice: “Creo que cada vez hay más consciencia social de la barbaridad que sería tirar la vivienda de unos adquirentes de buena fe, que si se les tira la casa quedarían sin dinero y sin hogar. De hecho, aparte del cambio que se ha anunciado en la LOUA, a la que las asociaciones de afectados por ilegalidades urbanísticas a las que también asesoro, conocidas como AUAN y SOHA, dan una cautelosa bienvenida, nosotros también abogamos por un cambio en el Código Penal y la Ley de Suelo estatal. Es decir no todo se puede resolver por un cambio en la LOUA que cae bajo el ámbito del legislador autonómico, sino que se requiere, en toda justicia, cambios en el Código Penal y la ley de Suelo estatal y ello es responsabilidad del legislador nacional. Con los cambios propuestos quizás se podría evitar el riesgo de la demolición de viviendas adquiridas de buena fe por ciudadanos, sean europeos o no, sin que se les garantice una previa y justa indemnización. De hecho, en las próximas fechas vamos a enfatizar la necesidad de estos cambios, pues la demolición de estas viviendas de esta forma no se entiende en nada fuera de España, ni tampoco, me atrevo a decir, por la población general dentro de este país. En este caso me alegro mucho de que el Juzgado no haya ordenado la demolición de ninguna de las casas, y creo que la indemnización por daños morales a las dos familias que represento y a favor de la familia representada por el Abogado Ignacio Pellicer en el pleito es indicativo del calvario que han sufrido estas familias durante tantos años. Gerardo Vazquez who represented two of the affected families, victims in the case, but whose properties ran the risk of demolition even though there were purchasers in good faith, said “I believe that there is a growing social consciousness of how barbaric it would be to demolish the homes of purchasers in good faith, leaving them penniless and homeless. In fact, in addition to the change that has been announced in the LOUA, cautiously welcomed by the associations of those affected by planning illegalities, whom I also advise, known as AUAN and SOHA, we also advocate for a change in the Criminal Code and the state Land Law. That is to say everything is not going to be resolved by a change in the LOUA which falls within the competency of the regional government, but in fairness, also by changes in the Criminal Code and state Land Laws, and that is the competency of legislators at a national level. With the changes we are calling for we believe that the risk of demolition of properties acquired in good faith by citizens, be the Europeans or not, can be avoided if previous and just compensation is guaranteed. In fact, we will be pushing for these changes in the near future, because the demolition of properties in this way, without prior compensation, is not understood by anyone outside of Spain, nor, I might say, by the general population of this country. In this particular case I am very pleased that the judge did not order the demolition of any of these houses, and I believe that the compensation for moral damages for the two families that I represent and for the family represented by the Lawyer Ignacio Pellicer is indicative of the Calvary that these families have suffered for so many years. In the opinion of Maura Hillen, president of AUAN ‘It is a good result. For the British the issue of illegal houses is like an upside-down lottery, where they have the bad luck to buy an illegal house, they have to fight for it for 10 years, they might die in the process, that everything depends on the interpretation of the judge, that there is insufficient clarity in the Penal Code and that if they demolish they get a piece of paper that says don't worry, you will be paid afterwards; a payment, that for certain will never materialize, as we know only too well in this area. After all that, if you don't die first, you're left out in the street with your bags, without money and without a house. A grim scenario which can be avoided by changing the law’. 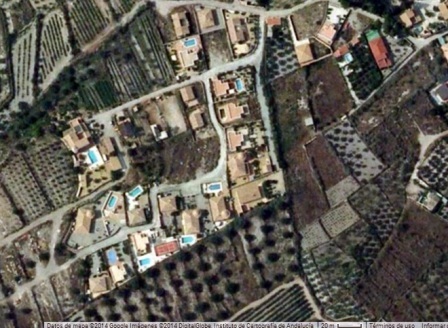 Andalucía to change its planning laws - what's it all about ? The modification of the planning laws to regularize illegal houses announced last week by the President of Andalucía, Susana Diaz, has triggered widespread reaction and debate. Approval from the PSOE, doubts in IU, scepticism in the PP and criticism from the ecologists. The announcement has lifted the spirits of foreign residents – many of them British – who have spent years dealing with the threat of demolition against their homes, built in areas such as Málaga and Almería in locations where it was not permitted to build. The British groups AUAN and SOHA, who have long campaigned on this issue, welcomed the news. “At last the politicians are listening to us” said Philip Smalley president of SOHA. Speaking on behalf of AUAN its president, Maura Hillen, said “It appears to be a positive step… We only hope that the proposed change is appropriate and that it becomes law as soon as possible” adding “The facts are that there are at least 300,000 illegal houses in Andalucía. They cannot all be demolished and therefore solutions must be found. It is not acceptable to ignore these houses pretending that they do not exist because there are thousands of houses that may be affecting the environment that are currently not being recognised and regulated”. Echoing the words of the associations, the British Embassy described the news as a ‘sensible first step’ and went on to press the government for further changes to help those with properties already in the courts or facing demolition orders. Representatives of Ecologists in Action have rejected the move stating that it ‘opens the door to legalizing everything built on non urbanizable land” and stating that the change is as a result of ‘election promises made to planning delinquents who have had various meetings with the Junta”. What is to be changed? The Environment Ministry has stated that the planned change to the LOUA is merely an extension of the Regularisation Decree which was approved by the Junta in 2012 with the intention of providing solutions for up to 300,000 illegal houses. According to the Ministry the decree of 2012 established a path to legalisation for illegal houses in ‘urban settlements’ and ‘scattered hamlets’. The third type of ‘isolated’ illegal housing, which does not fit into either of the previous categories, was offered the prospect of ‘regularization’. But the decree failed to consider isolated houses constructed on ‘parcelaciones urbanisticas’ or rustic land that was divided for the creation of building plots. These properties were excluded from regularization because article 185 of the planning law (LOUA) stipulates that this planning infraction is never proscribed from prosecution even if all other infractions affecting the property expire after six years. The government intends to change article 185 of the LOUA to assign a proscription period of six years to illegal land divisions thus allowing the properties within them to become regularized but not legalized. The owners will have the assurance that their properties will not be demolished unless they are already the subject of criminal or administrative proceedings or already have a demolition order. Speaking on behalf of the Ministry, the General Secretary for Planning, Nieves Masegosa, gave assurances that the change would only affect the issue of isolated buildings, not large urbanizations which must follow the path to legalization set out in the decree. The ‘regularization’ of isolated properties since the inception of the decree has been very low with government sources indicating that only 200 properties out of an estimated 300,000 illegal properties have been regularized since 2012. The government estimates that 25,000 properties will benefit from the change. The Mayor of Albox, Rogelio Mena, states that 500 properties in his municipality will be ‘saved’ by the proposed change, a figure representing virtually all of its illegal properties. In contrast, the planning councillor for Chiclana claims that only 2% of its illegal properties will benefit from the change, some 300 properties. In addition to the home owners associations, much of the pressure for change has come from the regions Mayors. In municipalities of four of five thousand people with hundreds of illegal houses, the issue can influence how residents vote. And foreign residents can vote in the municipal elections in 2015. VIVIENDAS ILEGALES ¿LUZ AL FINAL DEL TÚNEL? Susana Díaz, Presidenta de la Junta de Andalucía ha hablado sobre las viviendas ilegales en su intervención de esta mañana en el Parlamento Andaluz durante el debate del Estado de la Comunidad Andaluza. Ha dicho “Señorías, vamos a dar respuesta a una situación que afecta a miles de familias y a las que la Administración no puede dar la espalda. Saben ustedes que existe un importante número de edificaciones construidas, la mayoría hace ya mucho tiempo y en suelo no urbanizable, y para las que ha prescrito el plazo para la restitución de la legalidad urbanística. No podemos, en modo alguno, dejar que permanezcan en un limbo de inseguridad jurídica, de manera que mi Gobierno va a proponer a la Cámara una modificación normativa del artículo 185 de la Ley de Ordenación Urbanística de Andalucía que posibilite la regularización de miles y miles de viviendas en Andalucía”. Para Maura Hillen, Presidenta de la Asociación que lucha contra abusos urbanísticos conocida como “AUAN” da una cautelosa bienvenida a la noticia y dice “parece que vemos un paso positivo y estamos esperanzados con lo que ha dicho la Sra Presidenta. Solo esperamos que el cambio normativo propuesto sea adecuado y se llegue a plasmar en corto plazo en el BOJA ”, añadiendo “por fin, parece que hay consenso no sólo social, sino también político sobre las viviendas ilegales en Andalucía. Los hechos son, que por lo menos existen 300.000 viviendas ilegales en Andalucía, que no se pueden tirar todas estas casas, y que por lo tanto hay que buscarles una solución. No es de recibo ignorar estas viviendas pretendiendo que no existen, pues son miles de viviendas que pueden estar afectando al medioambiente al no estar reconocidas ni reguladas”. Según Gerardo Vázquez, asesor jurídico de AUAN, “el cambio normativo puede ser un paso importante. Para coger una frase prestada no será el fin de la problemática, ni el principio del fin, pero sí quizás el fin del principio. AUAN lleva luchando durante muchos años para conseguir un cambio de este tipo, de hecho, incluso antes de que se aprobó lo que se suponía iba a ser el Decreto de regularización, advirtió que éste no daba salida a la mayoría de las viviendas irregulares, dado que estas estaban en parcelaciones. Agradecemos a los políticos y responsables que han acogido esta reivindicación y la han promovido. Como me ha dicho uno de ellos recientemente “los políticos tenemos que ser útiles”, y yo sinceramente creo que esta medida, si se logra llevar a cabo correctamente, va a ser beneficiosa no sólo para muchas familias andaluzas, sino también para la seguridad jurídica, la inversión extranjera, y la sociedad en su conjunto”. ILLEGAL HOUSES – LIGHT AT THE END OF THE TUNNEL?? 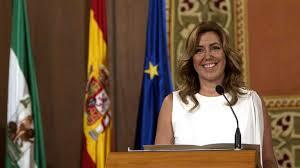 Susana Diaz, President of the Junta de Andalucía spoke about illegal houses today in the Andalusian Parliament during the debate on the state of Andalusian autonomy. She said “Ladies and Gentlemen, we are going to respond to the situation that affects thousands of families and that cannot be ignored by the Administration. You are aware that a significant number of buildings have been constructed, the majority some time ago, on non urbanizable land and that the proscription period allowed for the restoration of legality has now passed. We cannot, by any means, allow them to remain in a limbo of judicial uncertainty, and for this reason my Government is going to propose to Parliament a change to article 185 of the Planning Law of Andalucía which will make it possible to regularize thousands and thousands of houses in Andalucía”. Maura Hillen, President of the association which campaigns against planning abuses known as “AUAN” gave a cautious welcome to the news and said “it appears to be a positive step and we are given hope by what the President has said. We only hope that the proposed change is appropriate and that it becomes law as soon as possible” adding “finally there seems to be political as well as social consensus regarding illegal houses in Andalucía. The facts are that there are at least 300,000 illegal houses in Andalucía. They cannot all be demolished and therefore solutions must be found. It is not acceptable to ignore these houses pretending that they do not exist because there are thousands of houses that may be affecting the environment that are currently not being recognised and regulated”. According to Gerardo Vázquez, legal advisor to AUAN, “the change could be an important step. To coin a phrase this will not be end of the problem, nor the beginning of the end, but perhaps the end of the beginning. AUAN has campaigned for many years to bring about a change of this sort, even warning before what purported to be the regularization Decree was passed that it would not resolve the problem for the majority of houses because they were on illegal land divisions. We thank the politicians and officials who have embraced this assertion and promoted it. As one of them said to me recently “politicians have to be useful”, and I sincerely believe that this measure if applied correctly, will benefit, not only many families in Andalucía, but also legal security, foreign investment and society as a whole”. The spectre of demolition orders returns to Albox on the 9th of July as H.A.G and A.G.G. 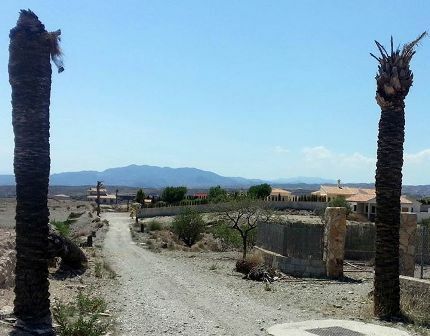 of Construcciones Alto Almanzora, C.D.B of Grupo Nazcar, and the works technical director, A.G.F., stand trial for alleged planning crimes relating to the construction of 7 houses, some never completed, on the ‘Las Palmeras’ urbanization in the area of Llano de los Olleres in Albox. The prosecution is seeking penalties of one year of imprisonment, disbarment from their profession for one year and six months, a fine and the demolition of the houses at a cost to the accused of 63,391.77 Euros. The former planning councillor for Albox, J.L. W. (deceased) is also cited in the case with charges of allegedly failing to prosecute a planning crime and for authorising the provision of water and electricity to the properties. New services report that a THIRD set of criminal court proceedings has come to light in Partaloa. The company concerned is Promociones Partaloa S.L. and relates to the construction of 9 properties located on poligono 2. The case is due to be heard on 1st October 2014. 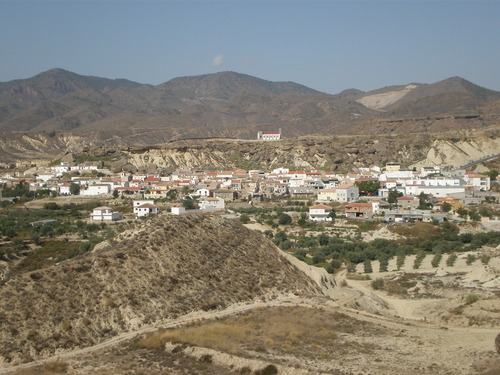 New information is emerging about more court cases relating to houses in the municipality of Partaloa in Almeria. This time it is 29 houses in the area of Retamar and as usual the prosecution is asking for demolition. The latest case, which was initiated 7 years ago, is a criminal case relating to an alleged planning crime against the promoter of the houses as well as corruption charges against a series of other individuals and is pending a hearing in Criminal Court number 2 in Almeria. The company Residencial Retamar S.L. is also cited in the case. The victims, third party purchasers in good faith, could find themselves without a house and without compensation if the accused are convicted. Speaking on behalf of homeowners association AUAN, its president Maura Hillen said “It’s mostly British and Belgians in Retamar. The problem, as we have previously said, is that the proceedings are not registered in Property Register and therefore it is possible that the houses have changed hands whilst this case has been going on. And, at the moment it is the Belgians who are buying”. In this particular case the State Prosecutor has already asked that the victims be offered the opportunity to take part in the case to defend their interests. Asked if homeowners were taking part in this case to argue against the demolition of their homes, Mrs Hillen said “I don’t know but it is not uncommon to find that the homeowner cannot be contacted, or they do not really understand the procedure and assume that merely attending court in response to the initial summons and signing some papers is sufficient but this is not the case”. Gerardo Vazquez legal advisor to AUAN said “This is correct. You need to nominate an abogado and a Procurator to represent you in court. Otherwise, you will not be informed when the case goes to trial”. Llega nueva información de otras posibles demoliciones en ciernes con más procedimientos sobre viviendas en Partaloa. Esta vez son unas 29 viviendas en el paraje de Retamar y, faltaría más, la Fiscalía pide la demolición. El procedimiento que se inició hace unos 7 años, es, como el de las 13 viviendas que van a juicio este viernes, un procedimiento penal por presunto delito contra la ordenación del territorio contra el presunto promotor de las viviendas, más la acusación de prevaricación contra una serie de otras personas, y se sigue ante el Juzgado de lo Penal número 2 de Almería capital, estando pendiente la celebración del juicio pertinente. Las víctimas, terceros de buena fe, se pueden quedar sin casa y sin dinero, como parece ser la tónica habitual. Preguntamos a Maura Hillen de la asociacion AUAN que lucha contra abusos urbanísticos sobre quiénes son los afectados. Dice Maura, “Pues en Retamar hay ingleses y Belgas mayoritariamente. El problema, como ya hemos dicho, es que si el procedimiento no se ha inscrito en el Registro de la Propiedad, pues entonces es posible que las casas hayan pasado de manos durante la tramitación del procedimiento, y ahora los que están comprando son Belgas. Here we go again. Another setback in the continuing saga of planning chaos that plagues various parts of Spain, including Andalucía, as recently covered by the TV programme Comando Actualidad on national Spanish TV. This time it is not only the British who are affected but also Belgians who bought houses in the area of Piedra Amarilla, in the hamlet of Partaloa. The State Prosecutor is asking for the demolition of 13 houses in this area. The Prosecution is not accusing these EU citizens of any wrongdoing. A criminal case has been brought against the promoter and the company, Lakes Vega S.L., for planning crimes which carry a penalty of one year and six months in prison and a ban from the building trade. Legal sources indicate that it is unlikely that any actual prison time would be served. The Prosecutor has also charged other individuals with planning corruption. As obliged to do so by the Penal Code, the prosecutor is asking for demolition of the houses and states that the promoter should compensate the buyers. However, the normal chain of events in such cases is that the house is demolished first and the victims then start an uncertain struggle to obtain compensation from the promoter. The problem is that, as we have seen in Vera and in Cantoria, in practice the victims are left without a house and without compensation. Anyone who feels they may affected by these proceedings may contact AUAN on info@almanzora-au.org. Se informa de un nuevo paso atrás dentro del continuado caos urbanístico que asola varias partes no sólo de Andalucía, sino del resto de España, tal y como hemos visto en el reciente reportaje Comando Actualidad en TVE 1. Esta vez, le toca no sólo a británicos, sino a belgas, que han comprado casas en el Paraje de Piedra Amarilla, del municipio de Partaloa. Concretamente, la Fiscalía pide la demolición de 13 viviendas en este lugar. Contrariamente a lo que podría parecer, la Fiscalía no acusa a los residentes europeos, sino como es habitual, al promotor de dichas viviendas, que es acusado de un delito contra la ordenación del territorio por el cual se le pide una pena de prisión de 1 año y 6 meses, con pena accesoria de inhabilitación especial del derecho de sufragio pasivo durante el tiempo de la condena, multa e inhabilitación especial de profesión u oficio relacionado con la construcción por el período de 2 años y costas judiciales. Como la petición de pena es de menos de 2 años de prisión, nos informan fuentes jurídicas que es dudoso que llegase a entrar en prisión para el caso de que fuese encontrado culpable. En el mismo procedimiento el Fiscal también presenta acusación contra otras personas que van a ser enjuiciadas por presunta prevaricación urbanística. Como no podría ser de otra forma, el Fiscal pide que el promotor deberá indemnizar a los adquirentes de las viviendas en la cuantía pagada y gastos ocasionados en la adquisición de sus propiedades. No obstante, la técnica habitual tomada en estos casos parece ser la de demoler primero, y después dejar a las víctimas que inicien una lucha incierta e insegura para tratar de obtener la indemnización tan alegremente ordenada. El problema es que, como hemos visto en Cantoria, en la práctica, las víctimas se suelen quedar sin casa y sin dinero. González Pons “los señores Prior son un símbolo de lo que nunca debería suceder en nuestro país”/ "Mr and Mrs Prior are a symbol of what must never happen in our country"
El próximo viernes arrancará oficialmente la campaña electoral de cara a las elecciones europeas, a pesar de ello, se suceden los actos políticos. Muestra de ello son las visitas de ayer a la provincia de Almería, entre las que destaca el vicesecretario general y número dos del PP para estos comicios, Esteban González Pons, que ayer visitaba el norte de la provincia. Next Friday sees the official start of the electionl campaign for the European Elections . Nevertheless, political acts are already taking place. An example of which is yesterdays tour of province of Almeria by, among others, the Vice secretary general and number two for the PP in these elections, Esteban Gonzalez Pons, who visited the north of the province. A las seis de la tarde se reunía en la sede del PP de Fines con representantes de asociaciones de afectados por las viviendas ilegales en Andalucía; la Asociación Abusos Urbanísticos Almanzora No (AUAN), el matrimonio Prior, la Asociación de SOHA (Save our Homes in Axarquia) de Malaga y la Confederación de Asociaciones de Andalucía (CALU). Colectivos preocupados por una problemática que afecta a 300.000 familias en Andalucía y más de doce mil en el Almanzora y el Levante almeriense. Buscar soluciones a nivel estatal, era la premisa con la que acudían los afectados que entregaron un documento a Pons con una serie de propuestas encaminadas a reconocer y proteger el derecho a la propiedad en diferentes artículos de la Ley del Suelo. Además de la petición de un cambio en el Código Penal que garantice al comprador una adecuada indemnización en el caso de demolición. “Hemos hablado de las 300.000 casas ilegales que existen en esta comunidad autónoma, del Decreto que los afectados consideran nefasto y que claramente no funciona” explicaba el abogado de AUAN, Gerardo Vázquez y Maura Hillen, presidenta de AUAN, que coincidieron en manifestar que “los afectados están hartos y quieren cambios de raíz. Es un tiempo pre electoral y no queremos que solo se hable de soluciones, siempre para después de las elecciones. Creemos que la responsabilidad para dar solución a esta enfermedad urbanística no solo reside en Sevilla, sino también en Madrid, donde gobierna el Partido Popular, y por ello hemos transmitido en la reunión una serie de sugerencias”. Los afectados esperan que “esto no quede solo en palabras, sino en pasos legislativos concretos que avancen en la resolución de estos problemas” aseguran. At seven in the evening, in the HQ of the PP in Fines, he met with representatives of associations of those affected by illegal houses in Andalucia; AUAN (Abusos Urbanisticos Almanzora NO), Mr and Mrs Prior, SOHA (Save our Homes in Axarquia) from Malaga and the Confederation of Assocations from Andalucia (CALU). Groups concerned with a problem that affects 300,000 families in Andalucia and more than twelve thousand in Almanzora and Levante almeriense. Seeking solutions at a state level was the premis on which those attending presented a document to Pons containing a series of proposals aimed at recognising and protecting the right to property in different articles of the Ley de Suelo (State Land Law). Including a request to change the Penal Code to guarantee adequete compensation to the buyer in the event of a demolition. " We spoke about the 300,000 illegal houses in this autonomy and of the Decree which those affected consider to be a shambles and which clearly does not work" explained AUAN's lawyer, Gerardo Vazquez and Maura Hillen, president of AUAN, agreed stating "those affected are fed up and want real changes. This is an election time and we do not wish to talk about solutions, always to be delivered after the elections. We believe that the responsibility to provide solutions to this urban malaise does not only lie with the government in Seville, but also in Madrid, where the Partido Popular is in control. For this reason we have made various suggestions in the meeting. Those affected hope that "this is more than just words and results in concrete legal steps that result in the resolution of these problems". En esa reunión previa donde se encontraban las primeras espadas del PP regional y nacional, los afectados expusieron la problemática y entregaron el documento, que “será estudiado”, según manifestó Esteban González Pons, después de lamentar “la situación irregular de aquellos a los que la Junta está derruyendo sus casas”. Se comprometía a “seguir trabajando para encontrar los procedimientos más adecuados para que se legalicen las viviendas, cumpliendo con la ley y la protección del medio ambiente, y evitando que esto pueda volver a ocurrir en el futuro”. In this meeting, which included senior figures of the regional and national PP, those affected presented the problem and submitted the document which "will be studied", according to Esteban Gonzales Pons, after lamenting "the irregular situation of those whose homes are being destroyed by the Junta". He promised to "continue to work to find more adequeate ways to legalise the houses, in compliance with the law and protecting the environment, and to avoid what had happend in the past". Tras la reunión de trabajo, la numerosa comitiva se trasladaba hasta el Salón Social de Fines, allí les esperaban más de 800 personas y numerosas autoridades, entre los que se encontraban además de Pons, los diputados Juan José Matarí, Carmen Navarro y Rafael Hernando, el presidente y vicepresidente de la Diputación Gabriel Amat y Javier Aureliano García, o el presidente de la Mancomunidad de Municipios del Almanzora y uno de los impulsores del encuentro, Antonio Ramón Salas. After the working meeting, the group transferred to the Salon Social in Fines, where they were awaited by more than 800 people and numerous officials, among whom, in addition to Pons, included the parliamentary deputies Juan Jose Matari, Carmen Navarro and Rafael Hernando, the president and vice president of the Diputacion, Gabriel Amat and Javier Aureliano Garcia, and the president of the Mancomunidad of Municipalities of Almanzora and one of the organizers of the meeting, Antonio Ramon Salas. Ante un auditorio repleto de vecinos, muchos de ellos británicos que residen en la comarca, el alcalde Rodrigo Sánchez dio la bienvenida a los visitantes destacando que “no estamos con el número dos de la lista del Partido Popular, porque el PP lleva dos número uno, en relación al tándem que forman Miguel Arias Cañete y Esteban González Pons en las listas al Parlamento europeo”. Antonio Ramón Salas quiso aprovechar la oportunidad para “volver a pedir disculpas a los señores Prior, por haber sido víctimas de este desaguisado y cuya responsabilidad es de la Junta de Andalucía” dijo. 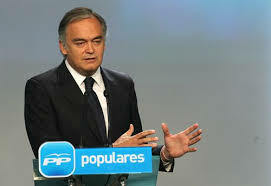 Before an auditorium full of residents, many of them Britons who live in the comarca, the mayor Rodrigo Sanchez welcomed the visitors, pointing out that "we not only have the number two on the list of the Partido Popular, but the PP have two number ones, in relation to the tandem formed by Miguel Arias Canete and Esteban Gonzales Pons in the lists for the European Parliament". Antonio Ramon Salas welcomed the opportunity to "again apologize to the Priors, for having become victims of this mess caused by the Junta de Andalucia" he said. También González Pons hizo referencia a esta familia de Vera a quien una orden de demolición les dejó sin casa en enero del 2008, “he tenido la oportunidad de saludar a los señores Prior que para mí, son un símbolo de lo que nunca debería suceder en nuestro país”. Posteriormente el candidato en un perfecto inglés se dirigió a los vecinos británicos donde hizo hincapié “en la derogación de la LOUA y el POTA”, y reclamó una solución inmediata a la situación, “su problema, es nuestro problema” afirmó el número dos del PP a las europeas. Gonzales Pons also made reference to this family from Vera, whose house was demolished in 2008. "I have had the opportunity to meet with Mr and Mrs Prior who for me are a symbol of what must never happen again in our country". Later, the candidate spoke to the British residents in perfect English where he emphasised "the repeal of the LOUA and the POTA", and called for an immediate solution to the situation. "Our problem is your problem" claimed the number 2 of the PP in the European Elections. Finalizado el acto en Fines, la comitiva se dirigió hasta el Teatro Municipal de Huércal Overa donde Gonzáles Pons destacó la necesidad de participar en estas elecciones, ya que “los ciudadanos son los responsables del cambio. Todos los españoles han sufrido con la crisis y el PSOE; ese sufrimiento tiene que servir para algo y no tiene que ser en balde. No les pido nada extraordinario, solo que hagan lo mismo que hace dos años, confiar. El PSOE no puede menospreciar los sacrificios de los españoles”. El número dos en las listas al Parlamento Europeo aseguro que “juntos, el PP y los españoles, le hemos ganado la batalla al pasado, ahora nos jugamos ganarle la partida al futuro". 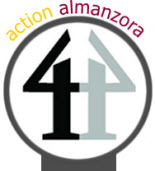 The association of Britons affected by planning irregularities in the Valley of Almanzora, known as AUAN, is expected to meet with the Vice Secretary General for research and programmes of the PP in Spain, Esteban Gonzalez Pons, next Monday, 5th May at 7pm. The planned meeting will take place in the ‘Salon de Actos’ at the entrance to Fines and the meeting is open to the public. 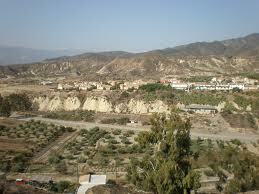 Mr and Mrs Prior and representatives of SOHA (Save our Homes in Axarquia) from Malaga will also be in attendance. The confederation of associations from Andalucia, “CALU”, is also going to be represented. According to Sra. Hillen, President of AUAN “The regularization decree in Andalucia has clearly not worked” but “it is certain that some changes have to be made at a national level and this is precisely what we want to speak to Sr. Pons about”. Among the proposals made by the associations is a request to “add a new article” to the Ley de Suelo which recognises and protects the right to property, with the objective of protecting property acquired ‘in good faith’ by the purchaser. In addition they seek a change to the Penal Code with the same affect given that many demolition orders are currently issued without guaranteeing adequate compensation for the buyer, which can leave them homeless and without money if the law is not changed, according to AUAN. “Our message to all our political leaders is that we are fed up of promises. Homeowners need concrete and real actions and this is what we are saying to all political parties”. La asociación de británicos afectados por las irregularidades urbanísticas en el Valle del Almanzora conocida como AUAN prevé reunirse con el Vicesecretario general de Estudios y Programas del PP, Esteban González Pons, el próximo lunes día 5 de mayo a las 7 de la tarde. La reunión prevista tendrá lugar en el Salón social a la entrada de Fines y está abierta al público interesado. Se confirma la asistencia de los Sres. Prior y de la asociación de SOHA (Save our Homes in Axarquia) de Malaga. La confederación de asociaciones de Andalucía, “CALU”, también va a estar representada. Según Sra. Hillen, Presidente de AUAN “El decreto de regularización andaluz evidentemente no funciona” pero “es cierto que algunos cambios se tienen que llevar a cabo a nivel nacional y eso es precisamente lo que le queremos comentar al señor Pons. ”. Entre las propuestas que planteará la asociaciones se encuentra la petición de “añadir un nuevo artículo” a la Ley del Suelo donde se reconozcan y proteja el derecho a la propiedad en diferentes artículos, con el fin de asegurar el inmueble adquirido “de buena fe” por el comprador. Asimismo, piden un cambio en el Código Penal a los mismos efectos, dado las muchas órdenes de demolición que ya se han dictado sin garantizar al comprador una adecuada indemnización, el cual se podrá quedar sin casa y sin dinero si no se cambia la ley, según AUAN. In the latest twist to the illegal homes saga, the homeowners association, AUAN, reveals that some of its members in El Fas, Cantoria are facing allegations from the regional government that their homes are still illegal because they were constructed on the wrong type of plot. Even though the homeowners, British pensioners, have been living in their homes for nearly 10 years they have had their services disconnected whilst the proceedings rumble on. An irregular plot, known as a parcelacion urbanistica is alleged to occur when a piece of rustic land is divided in order to construct houses. According to AUAN such land divisions are commonplace in the Valley of Almanzora, with around 30 similar examples of these land divisions in Albox alone affecting some 278 properties. The AUAN members, with the help of the association and its lawyer Gerardo Vazquez, have presented legal objections to the town hall of Cantoria arguing that the proceedings should be archived and that basic services such as electricity and water, disconnected via an injunction as a result of this case, should be restored to these properties. NOTA DE PRENSA – AUAN ALEGA QUE LAS PARCELACIONES TAMBIÉN PRESCRIBEN. La asociación que lucha contra los abusos urbanísticos AUAN ha informado que sus asociados han presentado alegaciones al Ayuntamiento de Cantoria con referencia al paraje El Fas donde se alegaba por la Junta la existencia de una parcelación ilegal, lo que conlleva, según la Junta, que las viviendas siempre sean ilegales – habría que tener en cuenta que esta sería una de las muchas parcelaciones irregulares existentes en varios municipios del Valle del Almanzora, según AUAN, que indica que solo en Albox hay unas 30 que afectan a unas 278 propiedades. Ahora los asociados de AUAN, con la ayuda de la Asociación y de su letrado Gerardo Vázquez, han presentado alegaciones al Ayuntamiento de Cantoria pidiendo se restablezcan los servicios que les fueron cortados a los residentes britanicos, y que se archive cualquier procedimiento de infracción de la legalidad urbanística sobre las viviendas. Explica Maura Hillen, Presidenta de la Asociación, “la Junta alega que las parcelaciones urbanísticas irregulares nunca prescriben. Yo respetuosamente entiendo que no es así: si hasta prescribe el homicidio, ¿cómo no van a prescribir las parcelaciones urbanísticas? - ello iría contra la seguridad jurídica que es un principio constitucional”. Añade ”¿Y cuál es el objetivo final? ¿Que la Junta pueda impugnar cuando considere, en cualquier momento entre hoy y la eternidad algunas de las miles, sino cientos de miles, de fincas y viviendas donde exista una parcelación irregular? ¿Piensa impugnar todas estas parcelaciones, o solo algunas?, y ¿cuáles y en que municipios? ¿Y entonces por qué unos municipios sí y otros no? Añade Maura Hillen, “De cualquier forma, aunque la Junta estuviese en lo cierto, y nosotros creemos que no lo está, lo que alegamos es que ello no puede afectar a las viviendas situadas en estas parcelaciones, y pensamos que hay argumentos jurídicos claros que así lo indican”. Para apoyar su tesis, AUAN se remite a una Sentencia del Juez Jesús Rivera del 21 de enero del año 2011, precisamente sobre una vivienda en una parcelación urbanística, esta vez en el municipio de Albox. En esta sentencia el Juez Rivera tenía que decidir si dicha vivienda podría obtener permiso para la contratación de agua y luz. La Junta argumentaba que no, entre otras cosas, por razón de la parcelación, alegando que esta actuación de parcelación estaba prohibida de acuerdo con la LOUA. No obstante, el Juez Rivera rechaza dicha tesis diciendo “del propio modo, no se pueden condenar a los edificios y viviendas que se hallen en situación de fuera de ordenación o asimilable a ella, a la prohibición de contar con los servicios adecuados para el desarrollo de una normal habitabilidad”. Link to latest AUAN press release. Link to recent news articles.